Benjamin Mkapa has announced the end of a deadlocked facilitation and the EAC Heads of state have decide that the question of dialogue will be dealt with later, etc. The summit ignored the Burundian crisis. The Heads of State of the EAC decided to put off the Burundian dialogue indefinitely. They put off the question of the inter-Burundian dialogue indefinitely. The 21st of the 22 points that constitute the conclusions of the summit of the Heads of State of the EAC is very laconic. “Victory,” said Gaston Sindimwo, the first vice-president of the Republic who represented Burundi in the summit. With the epistolary war between President Museveni, the mediator in the inter-Burundian conflict and his Burundian counterpart, some were expecting controversies at the summit. The outgoing boss of the EAC had expressed his real feelings to President Nkurunziza. The EAC has got responsibilities in the resolution of the Burundi crisis since 2015. According to the EAC, the party to the conflict should not dictate how the crisis should be handled. ‘Some of the opposition leaders in exile had encouraged Museveni to maintain this firmness displayed in his correspondence to Nkurunziza. They even went further demanding sanctions against the government in place. In the end, «there was no surprise, “says Charles Nditije, one of the exiled opponents. According to him, the Heads of State of the EAC have never displayed the firm determination to impose the path of dialogue on Bujumbura. 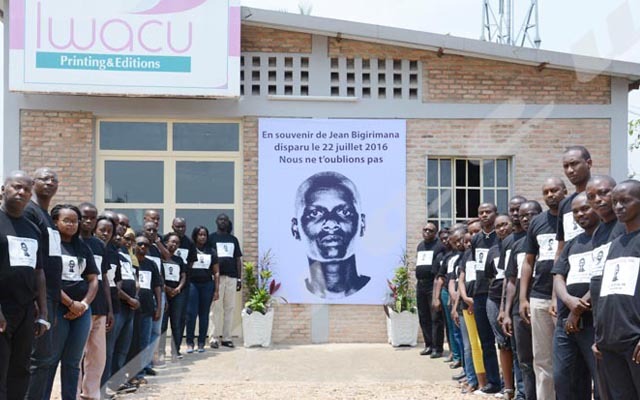 “On the contrary, they even encouraged Bujumbura directly or indirectly by their complicity or lack of commitment to help Burundi get out of the serious crisis,” said Nditije. On the side of the internal opposition, the vice president of Sahwanya Frodebu party speaks of a failure of Burundians themselves. “The EAC Heads of State decided to put the issue of the Burundian crisis in the background,” said Léonce Ngendakumana. Agathon Rwasa, leader of Amizero y’Abarundi opposition coalition, meanwhile asked the EAC to assume the responsibility for its failure. Five sessions were held in 3 years but the protagonists never gathered together to start a real discussion. The former Tanzanian president held consultations and experienced cases of boycott from stakeholders in the conflict. Benjamin Mkapa in the end confessed “that he was tired of the demands made by Bujumbura. A dialogue that in reality never started went up in smoke. However, the sub-region decided not to give up. No question of following Mkapa and admitting his defeat. In so doing, it excludes the intervention of the African Union that had trusted it. The First Vice President of the Republic, Gaston Sindimwo says it was agreed that the Ugandan and Tanzanian Presidents get in touch with President Nkurunziza to establish how the “dialogue should continue» . At this point, it’s hard to say when it will resume with an organizing facilitation team which declared that it was no longer in the game alongside a summit that did not set any timetable, putting off the dialog until later. Obviously, it’s a precious time earned by Bujumbura. The 2020 elections are fast approaching and the power in place is at work. The Constitution has been revised, the Kayanza road map adopted and the electoral code analyzed. The presidents of Rwanda and Burundi have difficulties normalizing relations between the two countries. The promise on tackling the conflict that has long undermined relations between the two countries in the East African Community has not been kept. The outgoing president of the EAC had promised his Burundian counterpart that this case would be discussed during the summit “for the good of the region.” Ultimately, this conflict has been ignored, to the great displeasure of the Burundian government. The Burundian president had even described to Rwanda as an enemy of Burundi. He accused it of being behind the failed 2015 coup and recruiting Burundians from Mahama refugee camp and offering them military training to destabilize Burundi. Such allegations were rejected by Rwanda that seems unwilling to engage in a debate about this issue. Very active on tweeter, the Rwandan ambassador, Olivier Nduhungirehe rejected the idea of an extraordinary summit on the subject. “An extraordinary summit on the conflict between Burundi and Rwanda … without Rwanda?” he wrote. In any case, it takes two to tango. And obviously, this possibility is far from pleasing the two … partners. ” Burundi can wait because the two countries will continue existing beyond our leaders. This special summit will be held one day, with or without you,” said Jean Claude Karerwa, spokesman for Burundian President.